I have noticed that since Halloween the number of pre-Black Friday emails showing up in my inbox has increased exponentially. “Get ready for Black Friday!”, “Sneak peek at Black Friday deals!”, and on and on. Just so we are clear, the only way that I will be out shopping on Black Friday is if something breaks in the house, and I have to make a run to Home Depot to get parts to, say, stop the gusher of water coming through the ceiling from the bathroom. I don’t enjoy shopping on most days, and having to fight crowds of people for the chance to buy things that I don’t need is not my idea of fun. Of course, now Black Friday actually starts on Thursday afternoon for many stores. But I always take note of those stores that are completely closed for the Thanksgiving holiday. Publix Supermarkets will be closed, in spite of the opportunity to make a few bucks on last-minute, forgotten Thanksgiving dinner ingredients. Brambleberry, where I purchase my soap-making supplies, will be closed for the entire weekend. Kudos to these stores, and those like them. And shame on those retailers that promote gluttonous consumerism by opening their doors at 4:00 pm Thursday afternoon. Because I love Thanksgiving. It seems like it is the only holiday left that has not been taken over by consumerism. Yes, some stores are open, but for Christmas shopping. There are no Thanksgiving day mattress sales or car sales, and no gift-giving or receiving, other than food. It’s a day for gathering with family and friends, enjoying a meal together, and giving thanks for all the wonderful things in our lives. When I was little, we would travel to my grandmother’s house for Thanksgiving. She loved to cook, and her tiny house would be bursting with people and food. 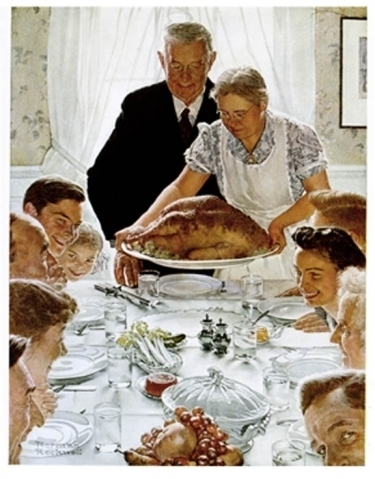 She had five children, and they all had children, so there would easily be thirty people at Thanksgiving. The cousins would play in her huge backyard during the day, climbing her enormous oak tree, playing football, or just running around through the crunchy leaves in the sunshine. Around sunset, we would file into her home to wash-up, and settle down for a lovely Thanksgiving dinner. It was truly idyllic. After dinner, someone would always suggest a game, and we would play parlor games or board games until well into the night. I can still remember being jolted awake after going to bed by a rousing cry of “Yahtzee!” from the living room. Now that I have my own little family, I have tried to carry on that traditional. 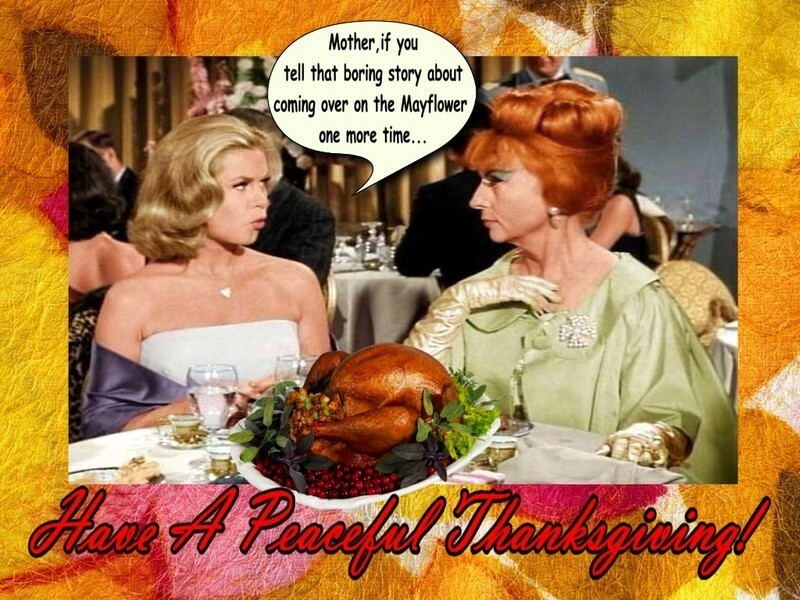 Thanksgiving Day is never about home projects or cleaning house or doing homework or catching up on laundry. It’s always about relaxing with my family and enjoying a good meal together. And at the end of the day, we will pull out Yahtzee or Tripoli or Clue, and just enjoy being a family. 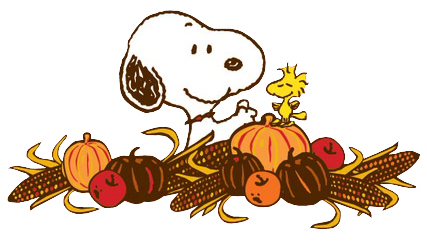 So here is wishing you and your family a wonderful, peaceful, relaxing, consumerism-free, stress-free Thanksgiving, filled with love and laughter and all the blessings of the holiday!